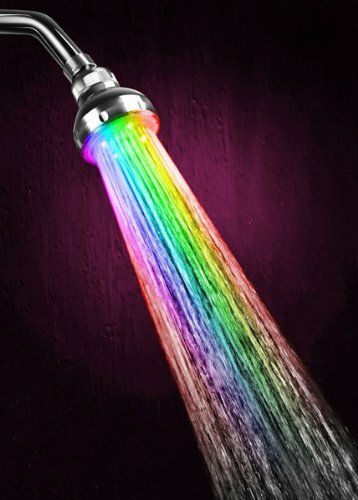 This self powered (water pressure powered) LED Showerhead is constantly changing colors to provide a new shower experience for the entire family. It is very quick and easy to install your new LED Showerhead. Simply unscrew your old showerhead and screw on our LED Showerhead. The LED Showerhead has a Chrome Finish and adjustable swivel connector so you can point the LED Showerhead in any direction.